Thrawnalicious is definitely a word that Grand Admiral Thrawn would object to, but it is the best way to describe the new footage Disney has released for Star Wars Rebels. 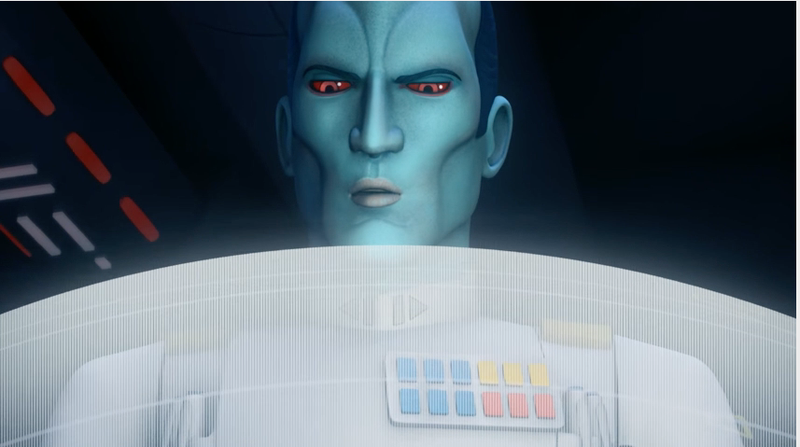 A lot of the footage here is new, and it really pumps up the threat that Thrawn is going to pose to our heroes. To the point where I’m slightly worried that he’s being built up too much, given that he’s not the center of this show.